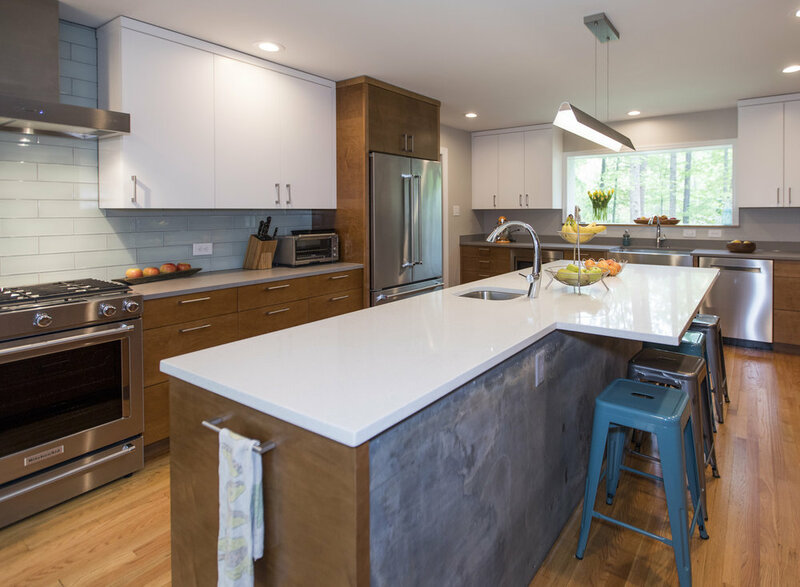 ISLAND KITCHEN — TRIPLE AUGHT DESIGN + BUILD. The central island creates a place where the family can gather to prep, cook, and eat. 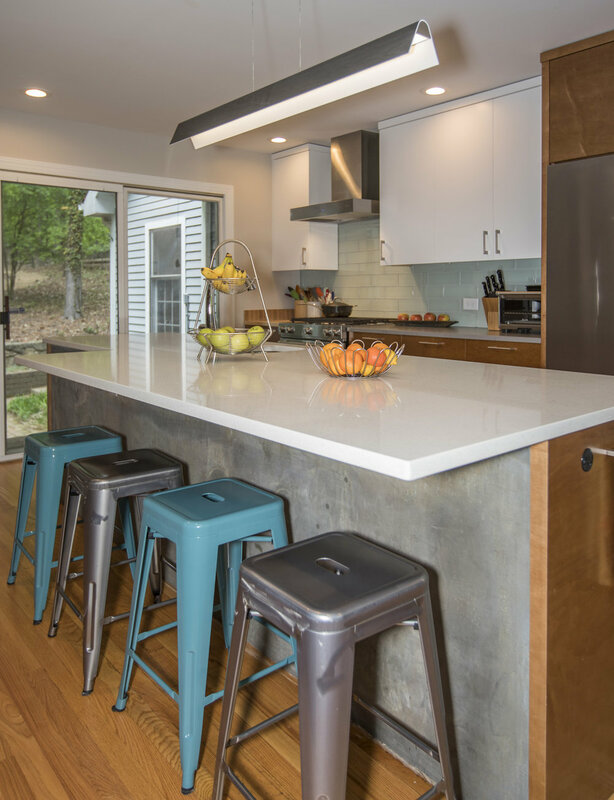 Originally the kitchen was designed as two separate spaces: a small horseshoe shaped kitchen that opened to a small breakfast nook. We combined the two spaces to create a large kitchen with more storage space, more countertop area, and easy seating. 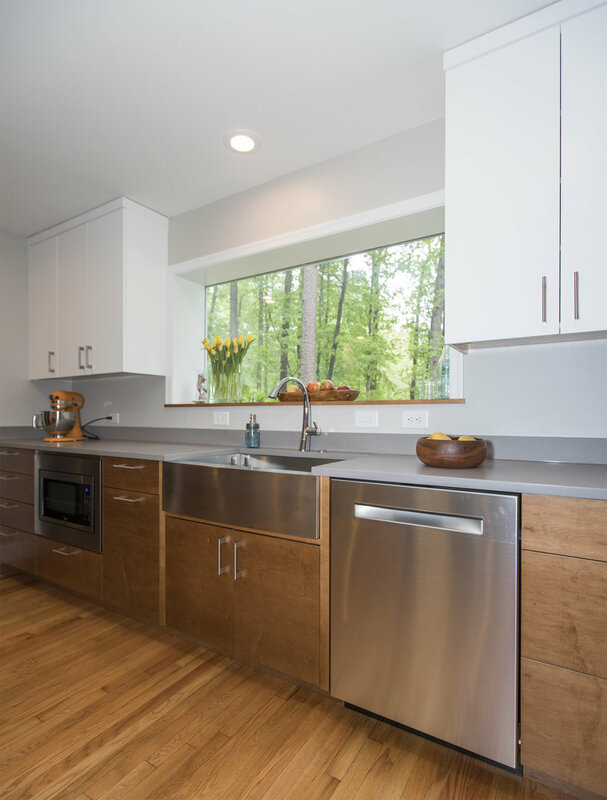 All base cabinets are dyed maple to contrast with the upper painted wall cabinets, keeping the space light and airy.